One of the most common permanently disabling birth defects in the United States, spina bifida literally means "a split spine." Each day, approximately eight babies are born with spina bifida in America. The condition is a defect where the spine's vertebrae do not form correctly around the baby's spinal cord. It can range from mild to severe in its impact. In mild cases, no treatment is necessary; in severe cases, there is significant nerve damage. Spina bifida cystica myelomeningocele: The most serious form in which some of the spinal cord itself sticks out through the opening in the spine. Children born with spina bifida may have other nervous system disorders like hydrocephalus or Chiari malformation. To date, scientists are unsure what exactly causes spina bifida to occur. It is believed to be caused by a mix of genetic and environmental factors. In the U.S., spina bifida occurs more frequently among Hispanics and Caucasians and less commonly in Asians and African-Americans. Ninety-five percent of babies born with spina bifida have no family history of it. However, if a mother has a child with spina bifida, the risk of it happening again in a subsequent pregnancy is increased. A screening blood test called an alphafetoprotein test (AFP) is done using the pregnant mother's blood when she is about 15 to 17 weeks into the pregnancy. If the results are abnormal, a detailed (Level II) ultrasound is done which can show the presence of spina bifida. An amniocentesis (sampling of the amniotic fluid in the womb) may be done to recheck the AFP level. There is no complete cure for spina bifida. The opening in the spine can be closed surgically either before or after birth and this may reduce its effects on the body. 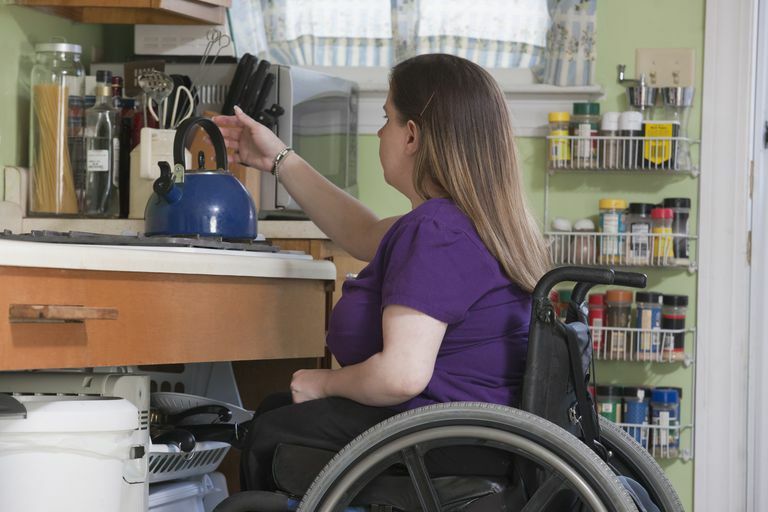 Since spina bifida causes injury to the spinal cord, continual treatment is often needed to manage symptoms like difficulty standing, walking, or urinating. Some people will be able to walk with crutches or leg braces; others may need a wheelchair to get around throughout their lives. Children and adults with myelomeningocele will have the most medical complications and need the most intensive medical care. The outlook for children with spina bifida has changed dramatically over the years. Recent developments have shown that those with spina bifida can live mostly normal lives. 90% of babies born with the condition survive into adulthood and 75% are able to play sports and participate in other activities. While finding out your child has spina bifida can be overwhelming, recent developments have made managing the condition possible. Bowman RM, McLone DG, Grant JA, Tomita T, Ito JA. Spina Bifida Outcome: A 25-year Prospective. Pediatr Neurosurg, 2001, 114-120. Mathews TJ, Honein MA, Erickson JD. "Spina Bifida and Anencephaly Prevalence--United States." MMWR Recomm Rep, 2002, 9-11. Spina Bifida Foundation. "What is Spina Bifida?" 2015.